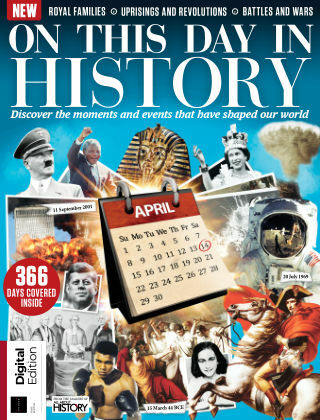 With Readly you can read All About History - On This Day In History and thousands of other magazines on your tablet and smartphone. Get access to all with just one subscription. New releases and back issues – all included. From births to battles and inventions to infernoes, uncover the path to the world we’ve come to know today. In On This Day in History, explore the rise and fall of nations, the triumphs and tragedies of monarchs, and the death and destruction left behind by conflict on every day of the year. With 366 fascinating events, it's the perfect way to discover the past of countries from the USA and France to China and India and beyond.